Here at Gordon Chevrolet, we have no doubts that the perfect used car, truck, or sport utility vehicle (SUV) for you is waiting on our used car lot. From premium Certified Pre-Owned Chevys to a substantial allotment of offerings from other automakers, you can count on our impressive inventory of budget-friendly options to have exactly what you are looking for out of your next used vehicle purchase. The only thing better than offering up the best selection of pre-owned cars, trucks, and SUVs in the Jacksonville area? How about pairing up this impressive array of choices with a genuine commitment to your satisfaction. From offering up insight and advice only when you feel ready to take the next step to crafting a hassle-free dealership experience, everything about shopping at our used car lot is designed with your satisfaction and comfort in mind. If you are ready to leave behind the aggressive practices found at other dealerships that attempt to force you into a rushed or hurried sale, go ahead and give us a call at (904) 272-2200 today. From here, our team of trusted pre-owned professionals can help you make a smart, informed, and confident decision regarding the next quality used vehicle to earn a spot in your garage or front driveway. Looking for finest used cars, trucks, and SUVs in Jacksonville? 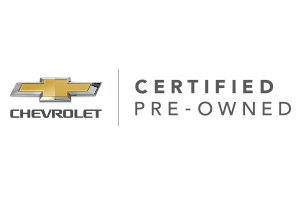 Then it is time to get to know the Chevrolet Certified Pre-Owned program. With each vehicle that earns this distinction boasting like-new quality, premium features, and a wealth of support directly from Chevy, you will be hard pressed to find a better option than this distinguished group of used cars when the time comes to upgrade your current automotive situation. With this kind of industry-leading protections and services on your side, it becomes clear in a hurry that truly maximizing your budget and getting the most out of your used vehicle for years to come starts and ends with selecting a car, truck, or SUV that comes from Chevrolet's Certified Pre-Owned program. Are You Ready to Meet the Pre-Owned Vehicle That Works for You? It is no big secret that we have covered quite a bit of information here. However, the truth of the matter is that all of the points brought to your attention here lead to one specific conclusion: If you truly want to get the biggest bang for your buck and pair up your automotive needs with a high-quality pre-owned offer, it is time to pay a visit to Jacksonville's favorite used car lot, Gordon Chevrolet. Now that you understand this, go ahead and connect with us at (904) 272-2200 the next time you have a break in your busy schedule. Once you do this, our friendly team of pre-owned professionals will do everything needed to ensure that you drive away from Gordon Chevrolet happy, satisfied, and behind the wheel of a great used car, truck, or SUV that meets your unique automotive needs.